Its the most wonderful time of the year! Matches that will take place on 26 December present high-scoring possibilities, so we will go for it. 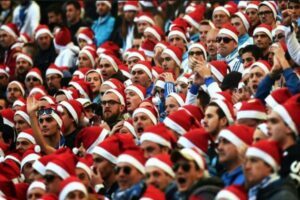 Boxing Day fixtures get the heart-rate racing for football fans desperate to leave the comfort of their warm homes to brave the cold conditions and get their festive fix of action. Is one of the of the favourite days in a football fan’s calendar. Boxing Day football is a tradition in England, and all levels of the English football pyramid will be in action today. But we selected our picks only from Premier League and only from the most interesting matches of the day.